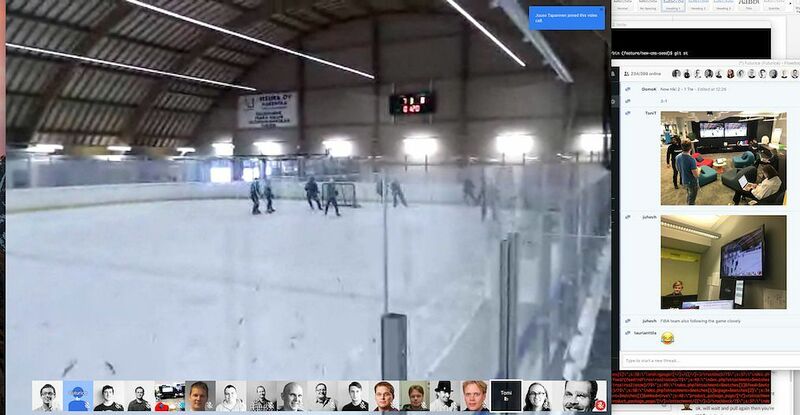 It has been a dream of many Futuriceans to play ice hockey with friends at work. 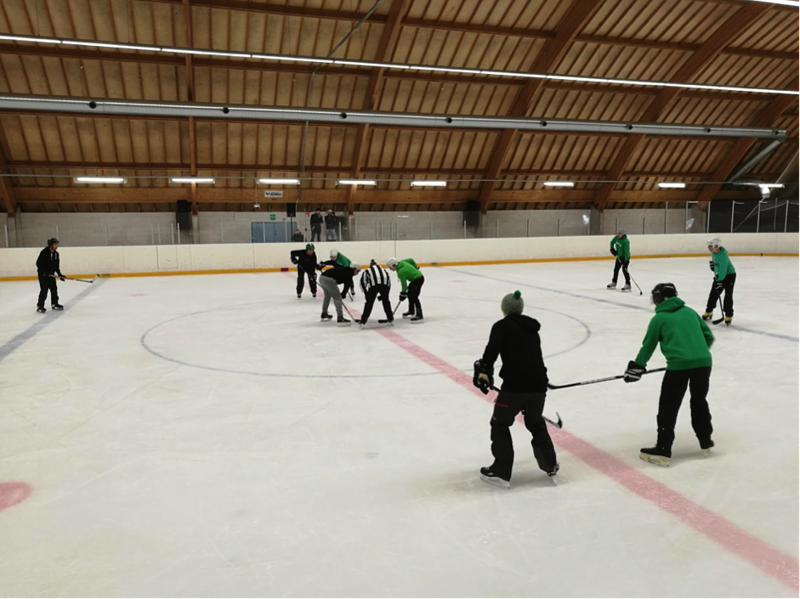 There’s been several discussions in the corridors between ice hockey hobbyists ... how nice would it be to raise the nice feelings from the youth when many Finnish boys and girls played ice-hockey in local teams? Some of us have played for a long time, some have less experience, but none of us have been professionals. This might also be the last chance for the middleaged to get in shape. It was not long ago (15.3.) 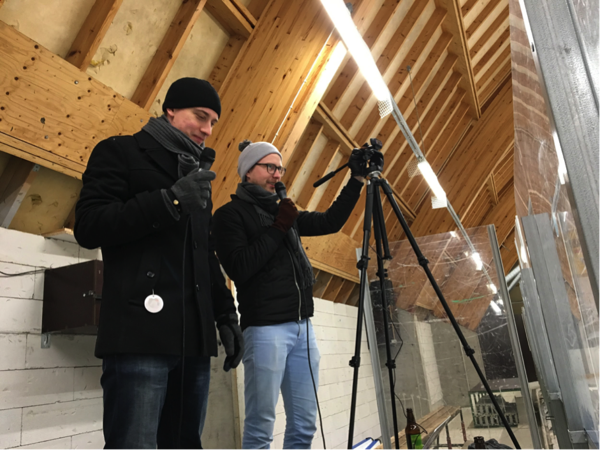 when Toni, the Captain of Team Helsinki, contacted Riku, the Tampere site manager (Tampere office will be known as ‘Tammerforce’ from now on), to ask if there are any hockey players at Tampere. Both parties have been at the Futurice for several years so they knew how to proceed. No talks about costs when you have an idea and it is relatively cheap and great fun. Tammerforce is well known for their unique culture and capabilities to take parties to the next level, these people build classics at work and off the work. We also heard there is going to be a housewarming party for the new Tampere office, so maybe that would be an excellent moment for a hockey game and celebration together and to get to know some new faces for the ever growing company. Helsinki, having a site with four times more people, easily got 15 names interested in playing. According to the corridor discussion these people seemed to have good backgrounds in hockey. Tampere quickly matched Team Helsinki’s challenge with players with various backgrounds. 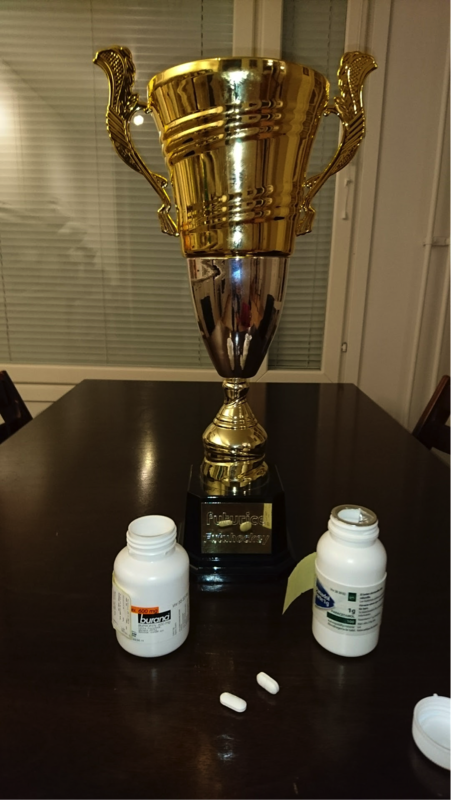 We proceeded things in parallel, people at Tampere checked the legendary Hakametsä arena reservations, arranged officials, created dj list for the “ice” breaks, prepared for live streaming and purchased the Trophy while team Helsinki focused on mouth shouting at the Hockey chat. 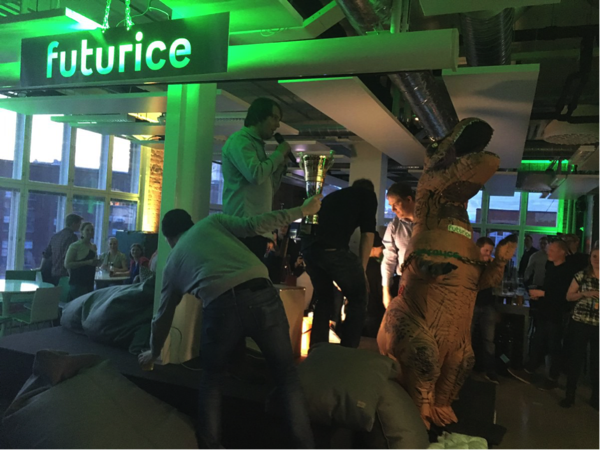 Teams decided to wear Futurice hoodies, as they were already available for most people. Tampere took greens while Helsinki wore black hoodies. Team Helsinki agreed to use time on the train traveling to Tampere for talent transition and knowledge sharing. 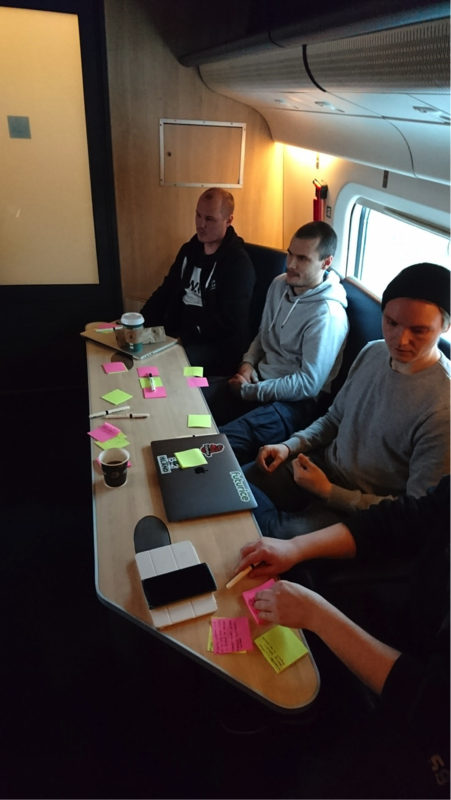 We had 8 highly skilled professionals (in software development) together, so we thought it would be nice to share some professional experiences from the projects / work we do so we booked a nice meeting room on the train. After we got ourselves comfortable on the seats we started by introducing all people; what they do, in which project they currently are in, and what their ice hockey background is. Team Helsinki Although Team Helsinki was carefully handpicked from the 200 highly skilled professionals, the player intros at the train was definitely giving second thoughts for the team captain. 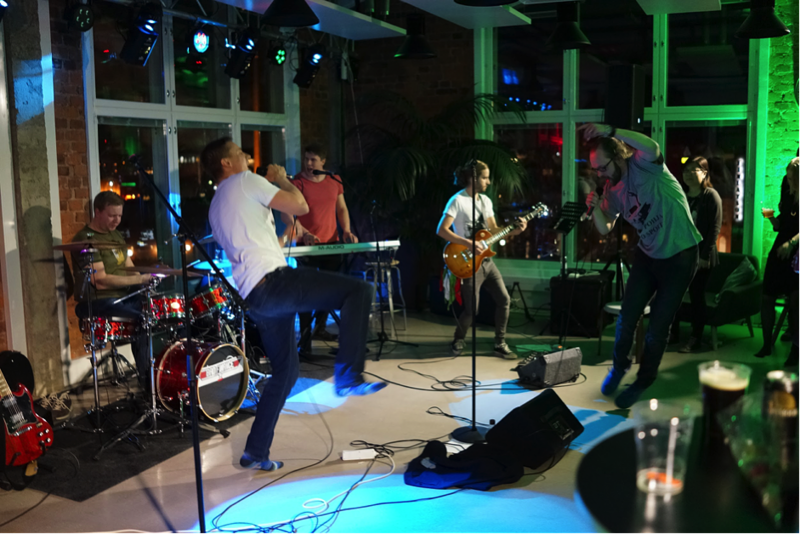 We started the intros with great energy and the guy who started was just at the time browsing an online store for ice hockey equipment in Tampere to buy and pick up skates. … What the ... he doesn’t even own the skates.. great confidence me think. Third one didn't actually have any hockey background but had a history in icebandy. 'i started hockey when I was six and I played until 20.. no wait I haven't played hockey’ - a remotely close quote of what he said. Well close enough.. sticks and ice. Fourth player had a top team in his CV but he forgot to mention that he never got any ice time, played in the fourth line and is now playing in beer league. Fifth was a reinforcement from Russia who was rumoured to have KHL experience. Later we heard KHL is actually one level at the Finnish beer league. 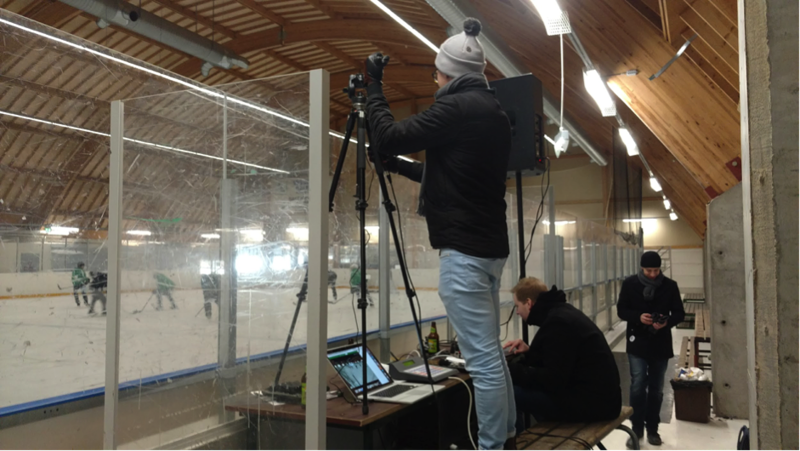 Sixth player did some junior hockey gaming in a team which no one has never heard of (VG-62, Naantali -where the Moomins live, or maybe not all..). Seventh lost his interest in hockey when his teeth were scattered across the ice in a beer league game. Clearly he smelled the fame to come(back). Last one, but not the least important, captain of the great Team Helsinki, played hockey last time when the Slapshot was filmed and played with a wooden stick, which was mocked relentlessly by the younger players. Skates, now all have skates!! 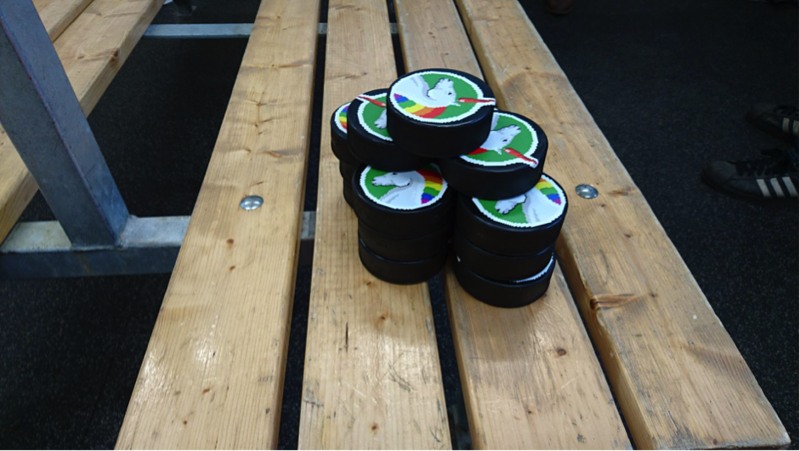 After Helsinki Team arrived to Tampere and we all got skates, team had a quick lunch and then heading to the ice rink. Zamboni man throwed some bad jokes over the fence while team tried to enter to the wrong nro 2 dressing room (why you would have two number twos..??) 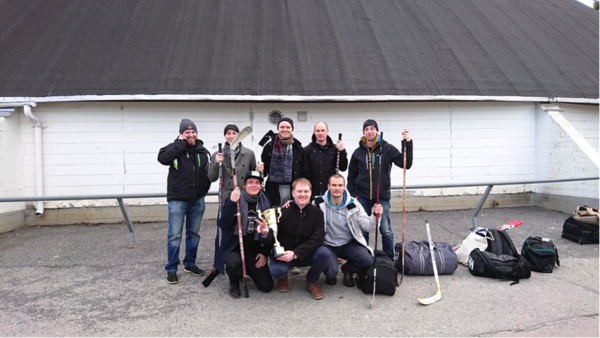 we never asked why (but at work we always do :)) and thought it must be part of the psychological game Tammerforce had played over the Futurice Hockey chat for the last two weeks. The game: It was clear from the first puck drop that game is real and more than half serious. Although teams shared the dressing room, no goal was easy and required team work to shoot directly from pass (which was the rule on the friendly game without the goalies). After 15x3 mins game the scoreboard showed 7-8 for the Team Helsinki. All the Helsinki players run to the ice jumping up and down, the Team Captain took the Futurice Winter Classic trophy, raise it towards the roof/sealing, giving it to the next person on the blue line and he repeating the same ancient tradition of the victory. After the game, half of the dressing room was silent, taking quick showers and getting back to the office work while others were bubbling the talk while revising the winning game. After getting pulse down and people dressed Team Helsinki went out to get a cab or two. Again there was some conspiracy and mental game Tammerforce must be playing with Helsinki as no taxi arrived within an hour. Finally taxi came and team got to check the new Tammerforce office. And it was awesome. Tammerforce’s new office just blow us away, no pain or tiredness was felt, this is how victory should taste like. Happy people at the office cheering for us (those might been actually mainly visitors from Helsinki :)), beers from the tap and sun from the sky and beautiful Tammerkoski rapids just around us. This is how Futurice Winter Classic (™) was made in Futurice. PS. every hockey stick found their home to Helsinki after one week of traveling. Every victory celebration has a pricetag.